The 20-week beginner Ironman training plan will prepare you to finish an Ironman or iron distance (140.6) event. Before starting this plan you should be consistently training about 10 hours per week. It is also recommended that you have completed a few Olympic distance races and possibly even a half Ironman in the past before you use this plan to prepare for an Ironman. •6x50 fast on 60" rest. •Pull: Focus will be on learning to 'catch' the water with your forearm and pull yourself through the water. You should feel your lats (the muscles under your arm pits that go down the side of your back) engage. Tired shoulders mean you are not using your lats enough. Ride on a flat to rolling course. Keep in Zone 1-2. Easy ride to just get some time in the saddle. •4x250 pull on 30” rest. •Weak Side Breathing: Breath to the side that you are not use to breathing on (or not comfortable breathing on). Run on a hilly course or treadmill. Get up to high Zone 3/low Zone 4 on the uphill and keep in Zone 1-2 otherwise. Stay hydrated and practice nutrition. Easy spin in small chain ring. Do this after run. Ride how you feel. If tired ride in Zones 1-2. If fresh you can push it and maybe ride some hills. Run on a flat course or treadmill. Keep in Zone 1-2, but throw in a few hills if possible. Run on a flat course or treadmill. Focus on good form and practice nutrition/hydration. We take into consideration all aspects of your life when designing a training program that is tailored to you and your specific needs. 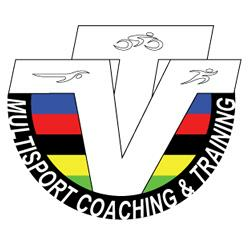 TriVault provides full coaching services including: consultation to determine goals and race plan; custom training program; unlimited communication; race strategy development; development of heart rate training zones; discounts on multisport gear and equipment; and more.